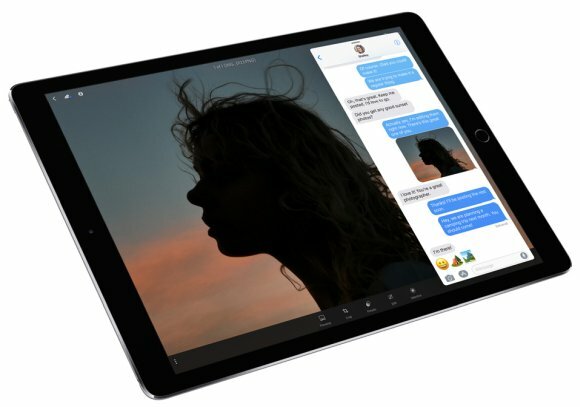 When the iPad Pro was introduced, Tim Cook has mentioned that it could replace a laptop for a lot of people. However, if you take away the optional keyboard and Apple Pencil, it’s still primarily a consumption device. That will soon change once iOS 11 begins to roll out to all supported iPads. 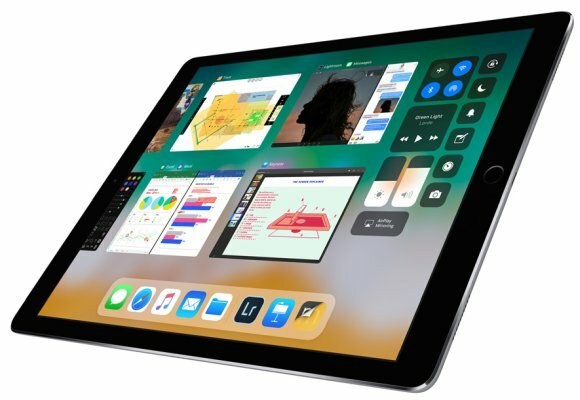 Read on to find out the top 6 new iOS 11 features that would transform the iPad into a productivity machine. 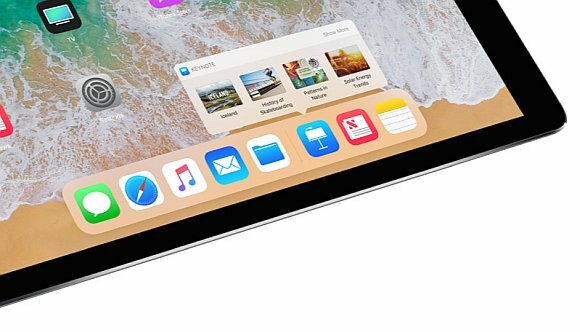 With iOS 11, the iPad will get an all new Dock which is somewhat similar to what you get on a desktop macOS interface. It gives you instant access to your favourite apps or files at any time without returning to the home screen. You can summon the dock by swiping up from the bottom edge of the screen. Running two apps at the same time is much more flexible than before. You can swipe up your preferred app from the Dock and you can choose to load the extra app either side by side in Split View or have it Slide Over above your active app. Switching between apps is much easier with the new App Switcher. Not only it gives you a better overview of what’s running, it preserves the pairing of apps that uses split view or slide over. For those relying on several apps to get the job done, switching apps can be done quickly with a simple swipe. The new App Switcher is accessible by continuing to swipe upwards as you bring up the dock. 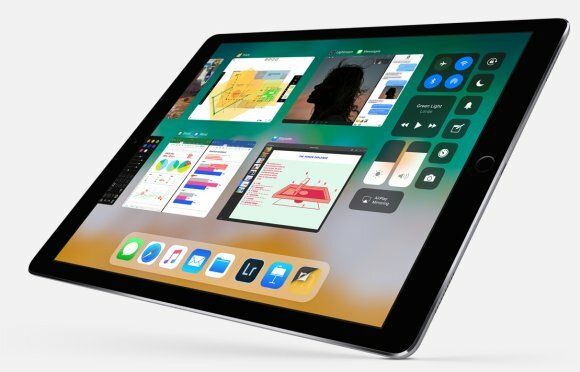 Working between apps is now easier with iOS 11’s new Drag and Drop feature. 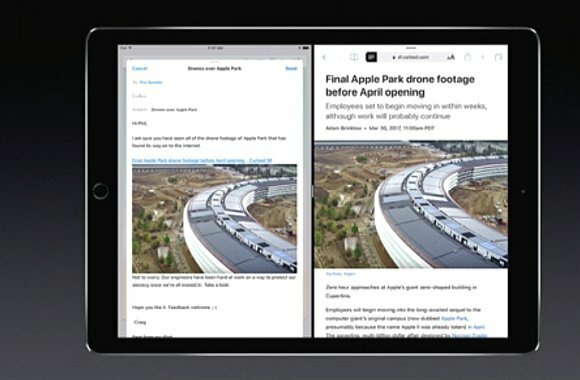 You can drag text, images, URLs from one app to another. This also includes adding attachments to email and you can drag documents directly from Files into your email’s body. To save time, you can also drag multiple files one go using two fingers. This is way faster than copying and pasting the old fashion way. 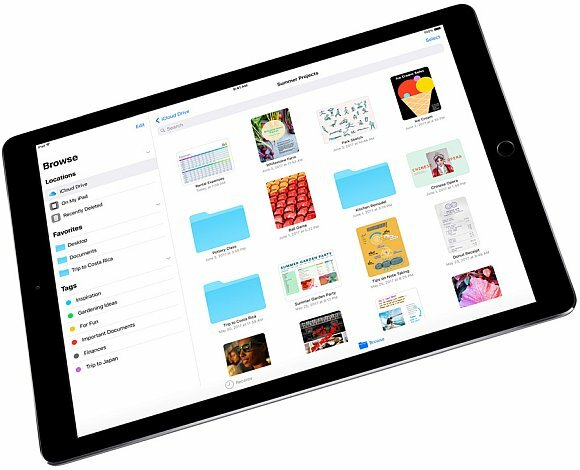 For the first time, you can finally view your files on your iPad with a built-in file manager. It lets you view files stored on your device and also within the apps themselves. In addition, Files let you search, mark favourites and set tags for your favourite documents. Not only it integrates with iCloud but also other cloud services such as Google Drive, OneDrive, Dropbox and Box. The Apple Pencil also gets more features with iOS 11 which are somewhat similar to Samsung’s S Pen. You get Instant Notes where you can take notes immediately after tapping the Pencil on the lock screen. 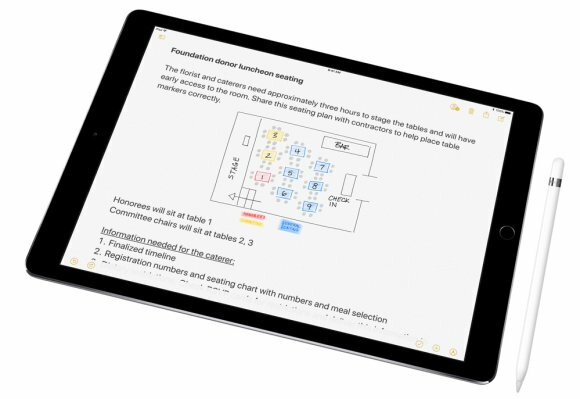 It also lets you perform instant markup on any screen to scribble your notes and feedback. If you need to send a signed document, Notes now comes with a built-in Document Scanner which will automatically save your original content and pen input as a PDF file. To help organise your notes, the new Notes on iOS 11 can index your handwriting so you can search for them later when you need to. iOS 11 will be rolling out sometime in September and Public Beta will be open sometime end of this month. 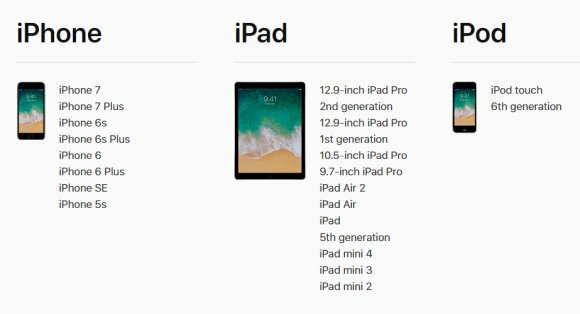 In terms of iPad support, it will be available for the iPad mini 2/3/4, iPad Air/Air 2, 5th gen iPad and all iPad Pro models. In case you missed it, you can check out our top 10 list of iOS 11 features for the iPhone here.